The Kyoto Protocol, the Paris Agreement and such commitment to the environment will come to naught until each citizen of the Planet Earth commits to reverse the damage. 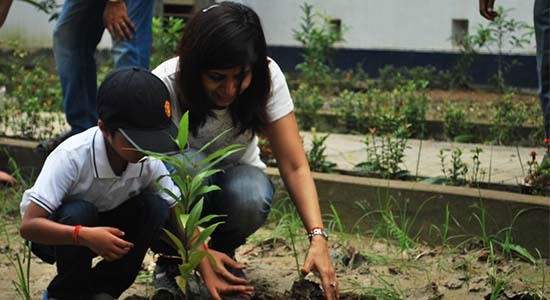 The more the environment balance tips, the more it is becoming clear that tree-planting is the only way to address climate change and the ills of greenhouse gases (GHGs). Afforestation is emerging as the best “technology” to battle climate change. A recent report by Oxford University says that between now and 2050, planting trees and improving soil quality are two “most promising” technologies to address climate change. 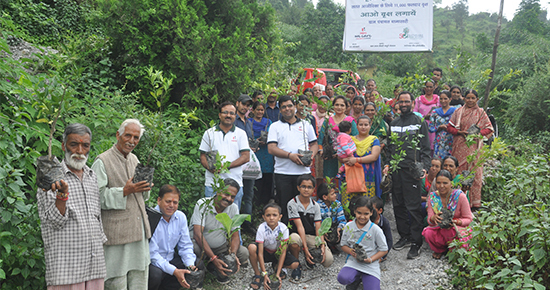 Sustainable Green Initiative (SGI) was set up with the sole objective of planting mostly fruit trees to fight hunger, poverty and climate change. Our organization distributes, plants, and maintains fruit tree saplings for three years in community lands, homesteads of marginal famers, and places such as orphanages, old-age homes, government schools, and so on. 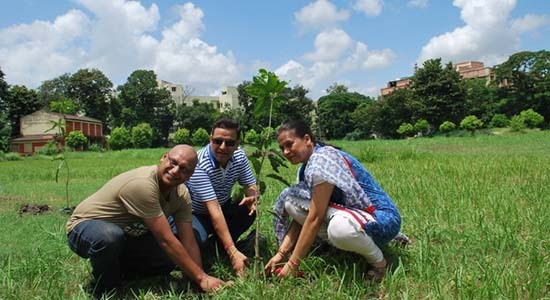 Since our inception in 2012, SGI has distributed, planted and are nurturing over 400,000 trees in 75 locations across Delhi-NCR, Haryana, Karnataka, Maharashtra, Odisha, Uttarakhand, Uttar Pradesh and West Bengal. Many of these sites are in extremely polluted areas such as Bengaluru, Delhi, Gurgaon, and Kolkata. End poverty in all its forms and everywhere: Fruit trees in homesteads and farms of small and marginal farmers means an alternate source of income and nutrition for them. Ensure healthy lives and promote well being for all at all ages: The nutrition content of native fruit species meet a number of dietary requirements for a healthy body, especially for women and children who stay at home. Ensure access to water and sanitation for all: Increased precipitation owing to increasing green cover helps recharge groundwater. We also encourage and implement rainwater harvesting in the planting areas. Promote inclusive and sustainable economic growth, employment and decent work for all: After nurturing the saplings for three years, the next stage will be to assist marginal farmers and low-income homes to market their organic product in the local market and also process them in the form of jams, juices and squashes. This will also address forced migration. Take urgent action to tackle climate change and its impact: SGI’s key focus is to reverse deforestation, increase the green cover by planting native species, help grow mixed forests of both fast-growing fruit-bearing species such as papaya and banana, as well as long-lasting trees of walnuts, mango, guava, litchi, etc. Sustainably manage forests, combat deforestation, halt and reverse land degradation, halt biodiversity loss: Orienting and supporting communities so that they not only protect and nurture these fruit forests of native species, but are also encouraged and advised to increase the green cover by planting fodder trees as well. The result of these activities leads to reduced soil erosion and improved fertility with the help of organic farming, hence supporting a larger variety of agro-biodiversity. Green Goal 2018: A million fruit trees. 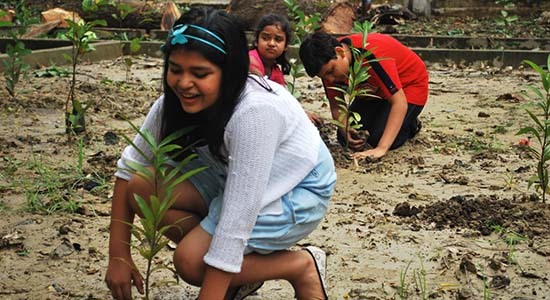 We at Sustainable Green Initiative continue to look for active support and partnership with government bodies and organizations, as well as corporations to achieve the target of planting One Billion Trees. We believe trees are the solution to most of the problems that the world is facing today. Although the threat of climate change is imminent, planting trees on a large scale can help bring the state of the world back to equilibrium. We at SGI are committed to increasing the green cover and become one of the active partners in fighting climate change.